This magical adventure companion has such a gentle and sweet personality. 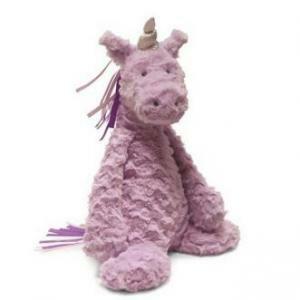 From her ribbon mane to her soft purple fur and friendly eyes, Sophia the Unicorn is ready for reading stories with, treks in the garden, and adventures in blanket tents. Tested and passed ASTM requirements.